Dimensions: total height 80cm, seat height 44cm, width 74cm, depth 75cm, weight 7,5kg. 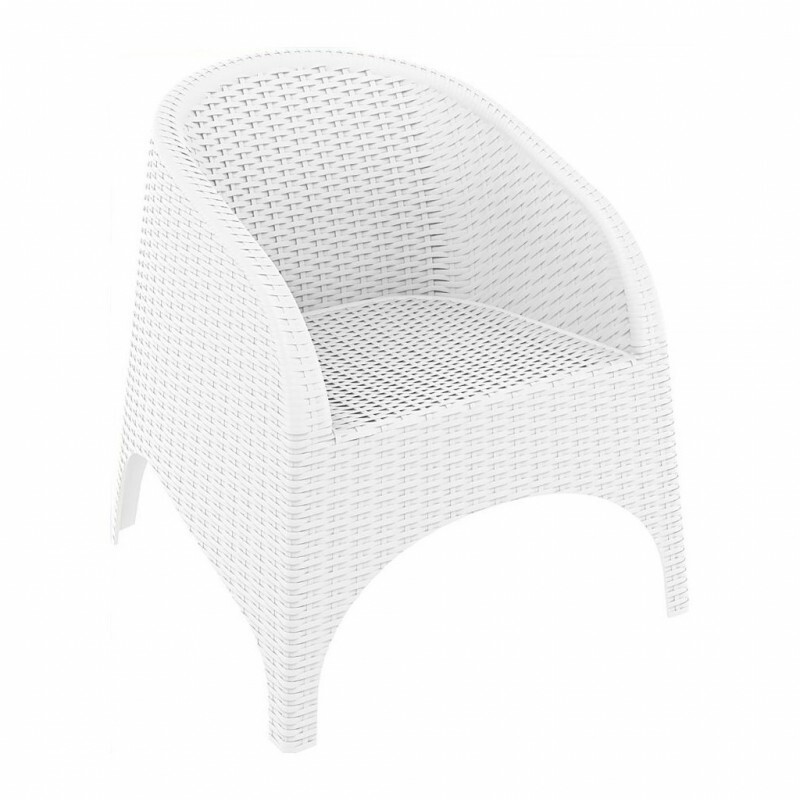 Since ever, the care to the details in all articles Siesta Exclusive is excellent, in the Rattan line this important attention is even stronger. ARUBA is a charming stackable armchair with great comfort. Characterized by wraparound lines, ARUBA is able to give elegance and exclusivity in any environment. Extremely robust, the ARUBA armchair is in fact designed for the contract market, where the use intense and continuing of the furnishings is frequent and where the robustness in the long time must be a guarantee. Made in polypropylene resin very resistant and reinforced with fiber glass. Armchair equipped with treatment against atmospheric agents and UV rays. Find out below, in the related products, the many rattan tables or side tables to which you can combine it. ATTENTION: THE PRICE INDICATED DOES NOT INCLUDE THE CUSHION (not binding for the purchase). If you want to buy it CLICK HERE.